Colleages – trackers continue their ferocious growth and NEXTracker has achieved its fourth consecutive year as the #1 tracker company globally according to the definitive GTM Research/Wood Mackenzie Power & Renewables report. Overall, the global solar PV tracker market grew by 20 percent last year, with 36 percent year-over-year growth since 2017 in terms of shipment. 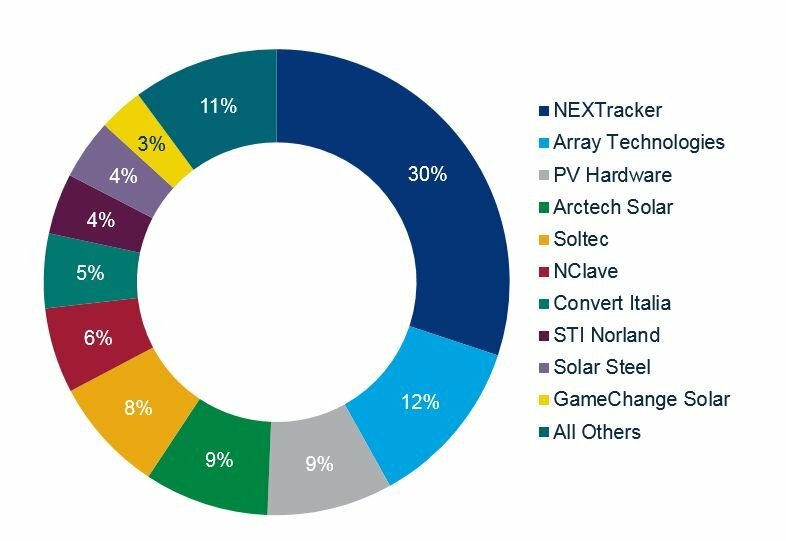 “The new solar PV tracker leaderboard confirms the ongoing dominance of NEXTracker, which has more than twice the market share of its closest competitors globally,” states Chloe Holden of Wood Mackenzie. Greentech Media continues that PV trackers continue to be the fastest growing of all the racking segments, and the space is expected to continue on an upward trajectory as the global solar market surpasses 100 gigawatts by the end of 2019. Read more from Chloe here. Thank you to our customers for trusting in our innovative technology, quality and bankability and for joining us in making PV and PV on trackers the fastest growing form of new energy generation. Our greatest strength is in our numbers, including our family of world-class suppliers and our EPC and developer partners. Our accomplishments are the culmination of the collective efforts of our team at NEXTracker from cutting-edge R&D innovation to top-notch supply chain orchestration, project management, and exceptional service. Check out our latest in yield gain with bifacial applications and TrueCapture, reliability, and geographic expansion here. If you’d like to download the report on global solar PV tracker market shares and shipment trends, 2019, visit here.